As a young kid, I loved watching shows like Digital LG Quiz and Battle of the Brains. I never became a contender in any of these quiz shows, but I learned a lot. It was like looking back to everything I learned–and didn’t learn–in grade school. Most items were general knowledge questions, things that some people consider useless and won’t help you get far in life. But believe it or not, it worked wonders for me. 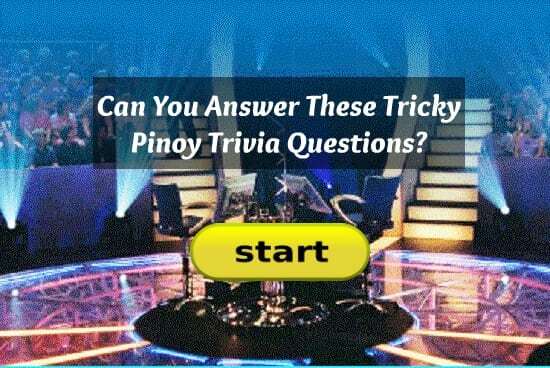 Thanks to these quiz shows, I became more curious and thirsty for knowledge. Such was its impact on me that even after college, I never stopped learning new things whether it’s in line with my job or anything related to my passion–Philippine history. I hope these trivia questions will make you realize that reading should be done for pleasure and that learning is a never-ending process regardless of the field you’re in. Also, make sure to share your score with your friends so we can turn this into an online Battle of the Brains!